﻿Genetic mutations may link smoking and alcohol consumption to destruction of the pancreas observed in chronic pancreatitis, according to a 12-year study. The findings, published in the journal Clinical and Translational Gastroenterology, provides insight into why some people develop this painful and debilitating inflammatory condition while most heavy smokers or drinkers do not appear to suffer any problems with it. The process appears to begin with acute pancreatitis, which is the sudden onset of inflammation causing nausea, vomiting and severe pain in the upper abdomen that may radiate to the back, and is typically triggered by excessive drinking or gallbladder problems. Up to a third of those patients will have recurrent episodes of acute pancreatitis, and up to a third of that group develops chronic disease, in which the organ becomes scarred from inflammation. Smoking and drinking are known to be strong risk factors for chronic pancreatitis, but not everyone who smokes or drinks damages their pancreas. This new study identifies gene variants that when combined with these lifestyle factors make people susceptible to chronic pancreatitis and may be useful to prevent patients from developing it. In the North American Pancreatitis Study II consortium, researchers evaluated gene profiles and alcohol and smoking habits of more than 1,000 people with either chronic pancreatitis or recurrent acute pancreatitis and an equivalent number of healthy volunteers. 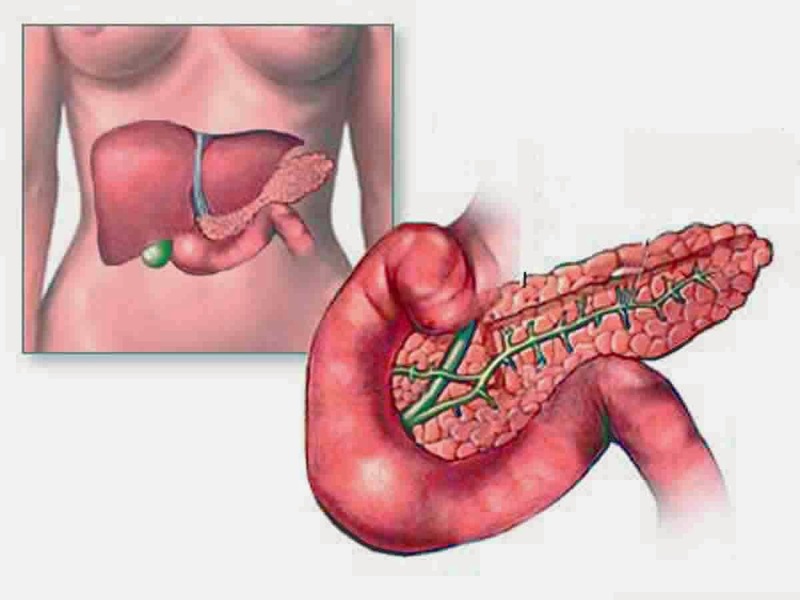 The researchers took a closer look at a gene called CTRC, which can protect pancreatic cells from injury caused by premature activation of trypsin, a digestive enzyme inside the pancreas instead of the intestine, a problem that has already been associated with pancreatitis. They found that a certain variant of the CTRC gene, which is thought to be carried by about 10 percent of Caucasians, was a strong risk factor for alcohol- or smoking-associated chronic pancreatitis. It's possible that the variant fails to protect the pancreas from trypsin, leaving the carrier vulnerable to ongoing pancreatic inflammation and scarring. This finding presents a window of opportunity to intervene in the disease process, and the possibility to screen for the gene variant. Originally posted by University of Pittsburgh Schools of the Health Sciences.